Got a birthday coming up and don’t know what to do? We have some great value party packages for all ages and they can all be tailor made to meet the demands of even the fussiest of kids! 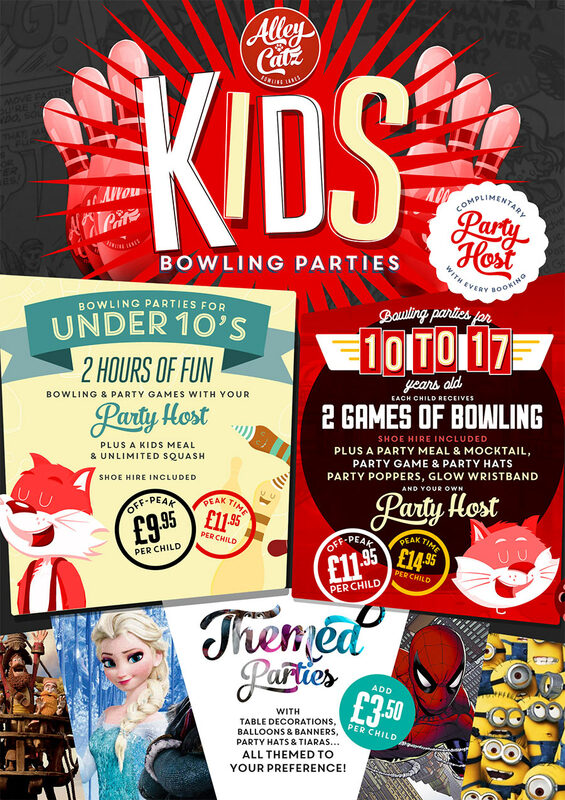 With options for cakes, drinks, our special birthday bowling pin, extra hours or games and even specific themes we have all of your birthday party needs covered so you can relax and take a breather whilst we do all of the work! Each party also comes with a special party host to help keep things running smoothly, take care of all of your problems and make sure the good times roll on. Book now to make sure their special day is the best it can be!